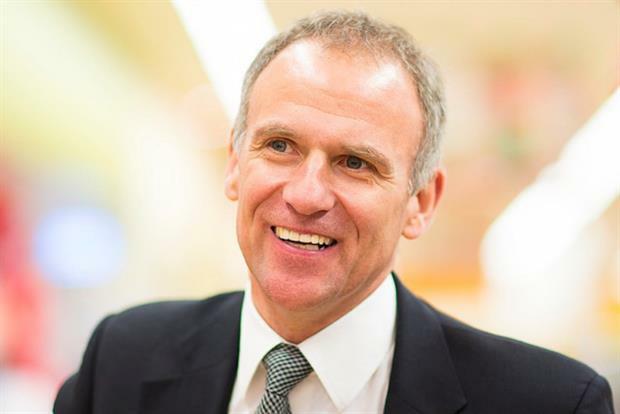 Eighteen months after saying "Bring it on", Tesco chief executive Dave Lewis took a more measured view on the challenge posed by Amazon's continued push into grocery. Lewis was speaking at a press conference for Tesco’s half-year results, which showed the supermarket continuing its revival. Asked about the extent to which he feared the might of Amazon, Lewis expressed cautious confidence in Tesco’s ability to maintain its place in the market. "We have to respect Amazon," he said. "It’s come into fresh here in London. It’s interesting that our market share in grocery home shopping in London is higher than elsewhere in the UK, so it's had no impact so far in that sense, but we see them as a formidable competitor." Discussing Amazon’s acquisition of Whole Foods, and its decision in August to slash prices at the supermarket chain, following the completion of the deal, Lewis repeated his assertion from last March that "competition makes you stronger". He said that the strategy Amazon was pursuing highlighted the challenges it faced, and the advantages of having a huge store network in place. "We start in a very strong place," he said. "The really interesting thing [about the Whole Foods deal] is it’s a recognition that food through a central distribution model doesn’t really work, Amazon having tried it for a decade in Seattle." He added that the impact of the price cuts may not be as profound as some might think: "You can take prices down by an awful lot for Whole Foods in the US and still just get to the average of the market. Yes, they’ve taken the prices down, but that just makes it more mainstream." Another way Amazon is making its impact felt in the supermarket sector is with Amazon Go, its queueless store in Seattle, in which customers simply take the products they want from shelves, with cutting edge-technology used to charge their account automatically. Sainsbury’s last week revealed it was trialling a somewhat less advanced system at one store in London, allowing customers to pay for their shopping through a smartphone app without visiting a checkout. Asked by Campaign if this was something Tesco would be exploring, Lewis claimed that it had already tested such a system, but it was Tesco’s policy not to publicise innovation until it was ready for a full launch. "We’ve been doing it for a while," he said. "We test a whole lot. Have we had cashless shops? Yes. Have we trialled the thing you refer to? Yes. "But we’ll only talk about it when we’ve done it everywhere – when we’re at a place when we think we’ve got something we want to offer to all customers, we’ll launch it and we’ll communicate it. But that sort of testing – loads of it."